Please note that there is three person minimum for a class to run. An email will be sent prior to the class to confirm. Or, please send me an email to inquire. You may pay securely on this site once a class is confirmed, or with cash, check, or credit card at the class. Thank you for understanding! Learn the basics of the Zentangle method of art. This art form is relaxing and increases your creativity, and it has been used in stress management, can increase attention span, concentration, and fine motor skills. Plus, it’s fun! Zentangle takes complicated patterns and breaks them down into manageable steps to create complex designs. 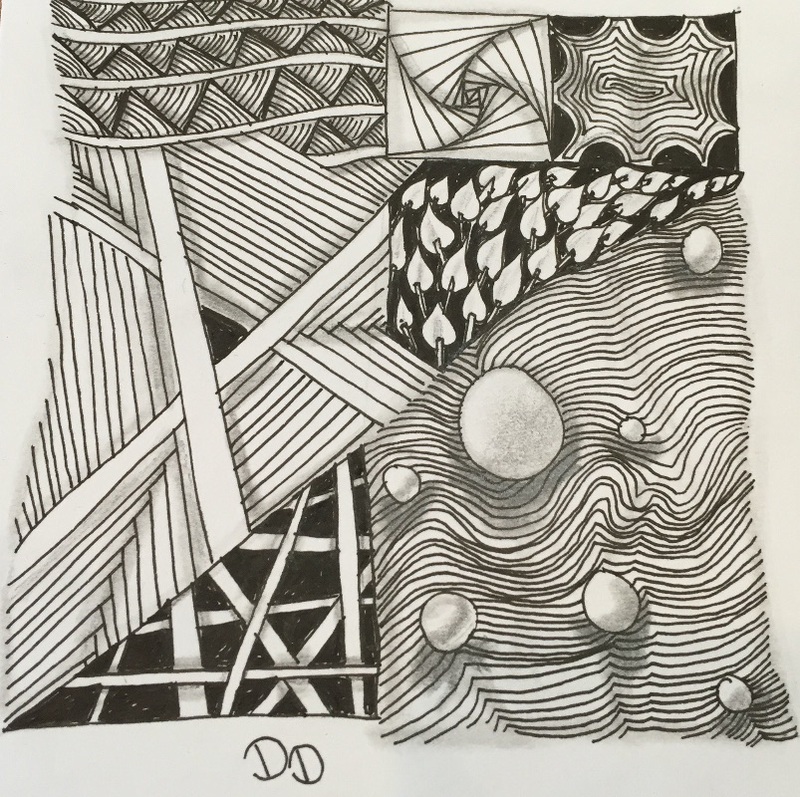 You do not need to be an “artist” to enjoy Zentangle. If you can write I, C, S, & O, you can do it - really!! Learn more tangles using black paper and white and gold gel pens for a dramatic look. Please note that the Zentangle Introduction Workshop is a prerequisite before taking this class. Continue your journey of the Zentangle method of art with this intermediate level workshop with an emphasis on shading! Shading can add a dramatic dimension to any tangle. We will explore several tangles with different types of shading. Please note a Zentangle®️ Introduction Workshop is a pre-requisite before taking this class. $30 Class Fee includes supplies needed for the class and to take home with you to continue your tangling journey. Please inquire about group discounts, non-profit rates, & “At Your Place” classes/parties. Create small art pieces using a variety of paints and markers! Choose from mini canvases, mini-framed art, cards, ornaments, and magnets! Learn to use the Zentangle Method of Art in your journey for less stress, more relaxation, self-expression, and meditation. This class meets 1.5 hours/once a week/for 6 weeks and includes an art journal, pens, Zentangle instruction, a plan for your journey, and other supplies. 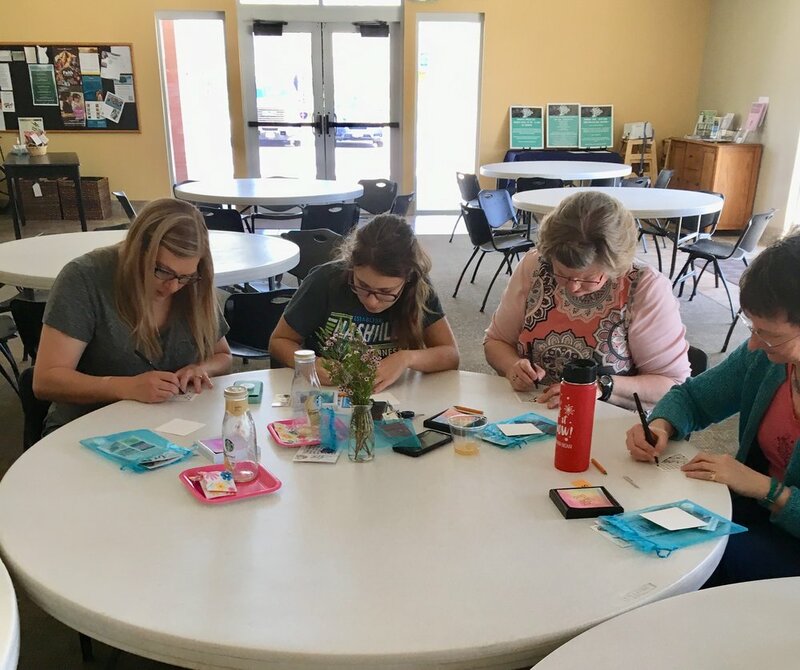 Perfect for a church women’s group, you can have an activity customized to match your theme or message. Ideas include art instruction to create cards, ornaments, or Mini-Monets. Have an art party in your home, at work, at a coffee shop, or wherever you want! Celebrate a special occasion, or just chill out with friends. Let your kids from 6-18 yrs. old have fun exploring different art forms. Zentangle is a great activity for them to not only have fun drawing, but it also increases attention to detail and attention span, improves handwriting and fine-motor coordination, and provides a way for self-expression and self-calming.